Adjective. 1:Something impossible to put a monetary price to. 2: something very amusing. 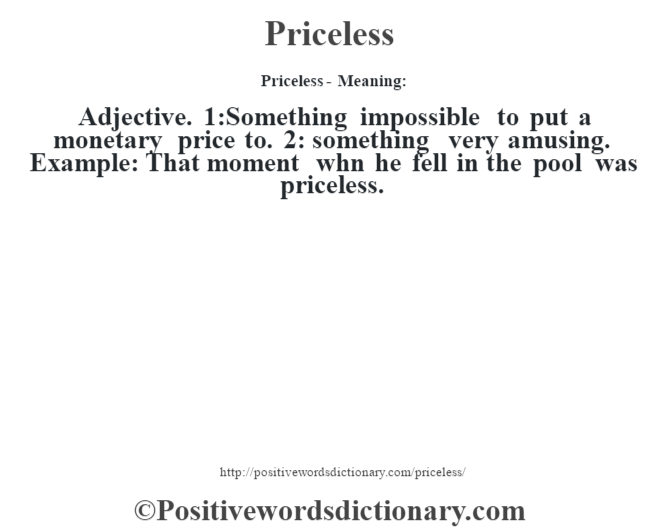 Example: That moment whn he fell in the pool was priceless.